Tokyo, Japan didn’t appear like the normal venue to hold a Heavyweight championship fight. It seemed as if it were light years away from the neon lights of Atlantic City and Las Vegas. In fairness, Tokyo had hosted a pair of previous Heavyweight title fights. 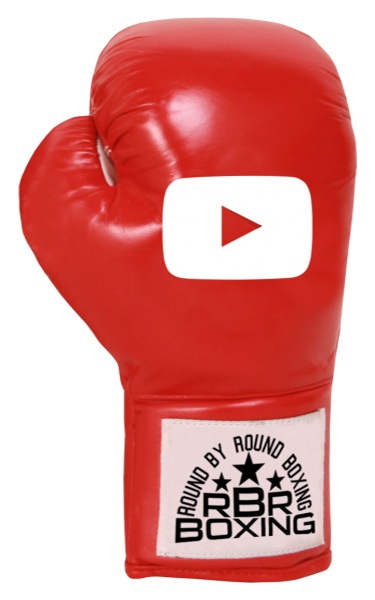 In 1973, George Foreman defended his crown against Joe Roman winning by knockout in the second round. Then, 15 years later, Mike Tyson defended his undisputed titles against Tony Tubbs and also won via a second round knockout. 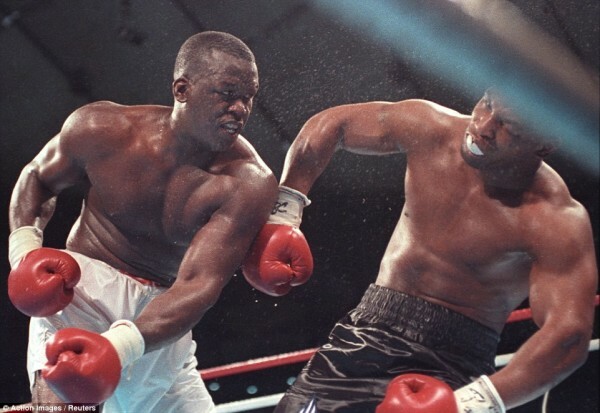 As we entered 1990, Tyson had signed to meet James “Buster” Douglas. Douglas was considered to be a safe opponent before facing Evander Holyfield in June. Catskill, New York, had steamrolled through the division. In November of 1986 he became the youngest Heavyweight champion in history. 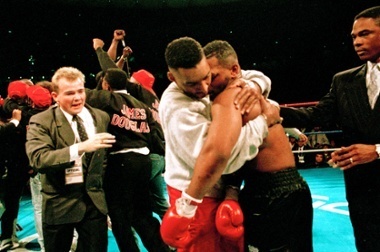 At just 20 years of age, Tyson brutalized Trevor Berbick inside of six minutes to win the WBC crown. The following year Tyson added the WBA and IBF belts to unify the title. 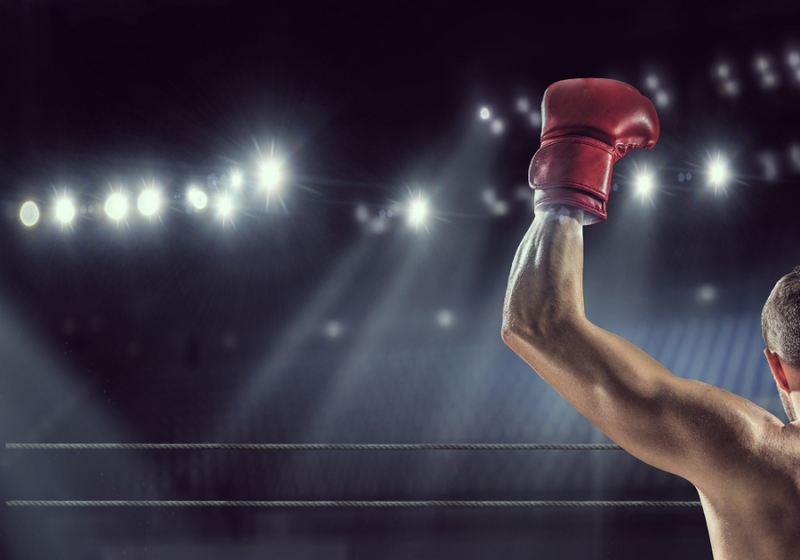 He was widely recognized as “the baddest man on the planet” and remained undefeated. The axis, however, began to shift slightly in 1988 as Tyson’s life began to read like a soap opera. “Iron” Mike married actress Robin Givins in February. The following month, his co-manager and confidant Jim Jacobs passed away leaving co-manager Bill Cayton to steer Tyson’s career. 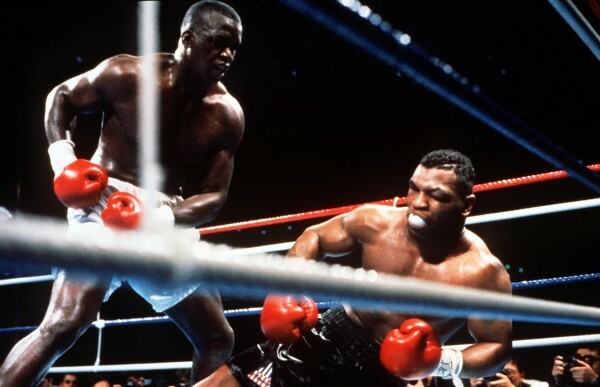 On June 28, in just 91 seconds, Tyson blew away what was supposed to be his toughest opponent, Michael Spinks. 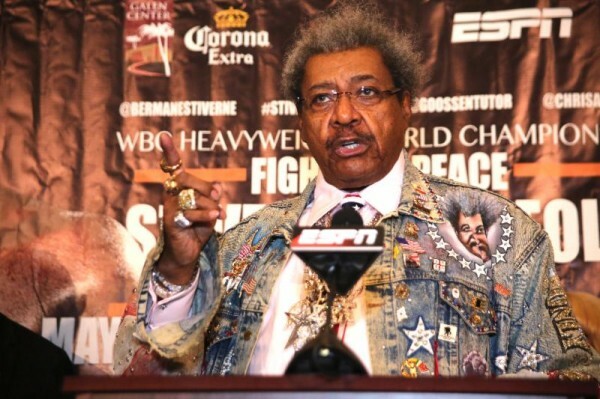 Cayton was served legal papers at ringside as Tyson looked to break his contract with him and move to Don King. The turmoil and chaos in his personal life continued. Williams in just 93 seconds. 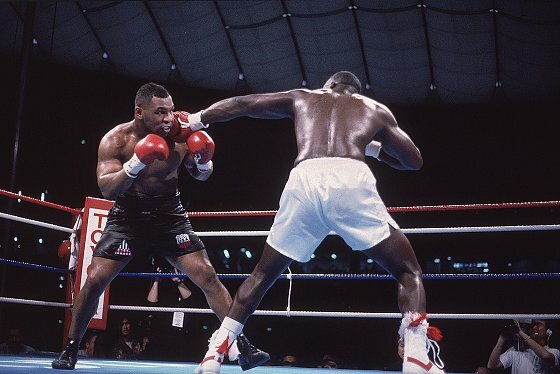 Tyson now looked to face Douglas as the world awaited a showdown with Holyfield. Rumors were abound that Tyson wasn’t training and was nowhere near fighting shape. 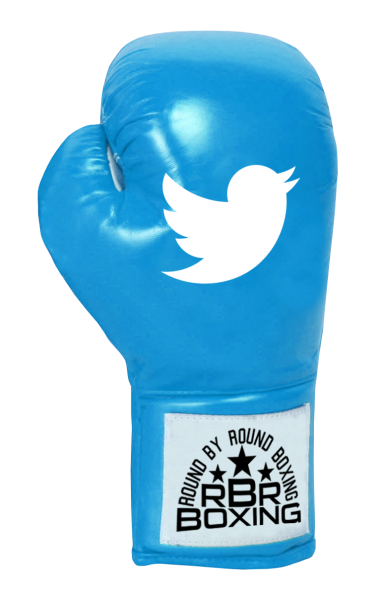 many early rounds against the undefeated Tucker. Hurt in the tenth round, Douglas quit and left many to question his heart for years to come. After the loss to Tucker, Douglas rebounded and pieced together a six fight win streak. Determined to shed the tag of underachiever, he scored victories over Donnie Long, Mike Williams, Trevor Berbick, and Oliver McCall. In the boxing world, however, Douglas was now looked at as nothing more than a journeyman fighter. After signing to meet Tyson, Douglas was forced to face more adversity. Just 23 days before the fight, he learned that his mother had passed away from a stroke. While dealing with unbearable grief, Douglas then fell ill with the flu just days before the fight. Most fans as well as the media believed Douglas was a sitting duck for the Tyson steamroller.  The bout, broadcast live in the United States on HBO, was aired on Saturday night from Korakuen Stadium, also known as the Tokyo Dome. It was noon in Tokyo when the fighters prepared to exit their dressing rooms and take center stage. The trio of Jim Lampley, Larry Merchant, and Sugar Ray Leonard sat ringside to witness the action. 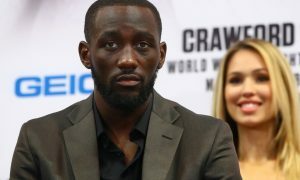 Merchant, describing the odds facing Douglas during the prefight commentary, shared a story of an Associated Press writer traveling to cover the fight. A customs official asked how long he expected to work in Tokyo. 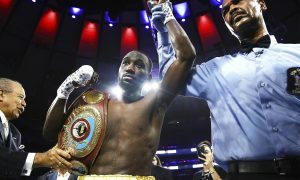 The writer responded, “About 90 seconds.” Facing what seemed like insurmountable odds, the 29 year old Douglas (29-4-1, 19 KOs) made his way to the ring first. Wearing white trimmed with red, he looked animated as he bounced up and down while moving quickly through the crowd. The champion began his walk soon after Douglas had climbed into the ring. At 23, Tyson (37-0, 33 KOs) entered in his usual fashion wearing black trunks and black shoes with no socks and no robe. He wore a towel with a hole in the middle of it around his neck. With both men now ready, Jimmy Lennon Jr. introduced both fighters. Referee Octavio Meyran provided instructions and then issued a directive to those remaining in the ring, “Everybody out!” As the first round began, Douglas immediately began to employ his 12 inch reach advantage. He had tremendous pep in his legs and was moving very well around the ring. Tyson looked to attack early, as was his usual, but seemed to be struggling to find his timing and rhythm. 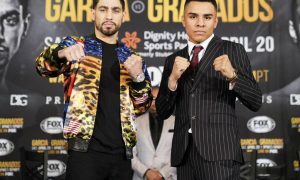 As the fight moved into the fourth and fifth rounds, Douglas continued to move well and began putting together crisp combinations. Tyson looked docile and uncharacteristically slow. Douglas unloaded a combination midway through the fifth and wobbled Tyson. Lampley noticed the battle damage Tyson had sustained, “There’s a lot of swelling around Mike Tyson’s left eye and it’s partially closed. 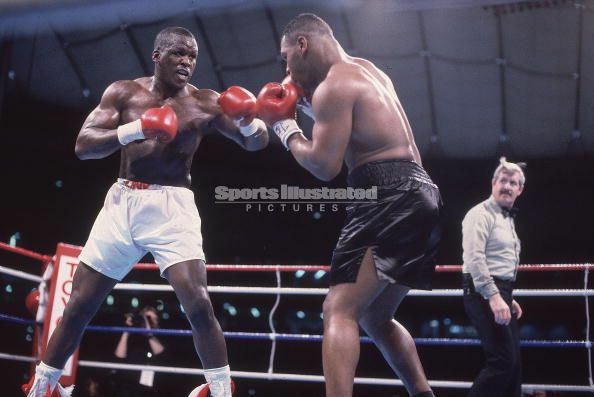 And that is from the right hand leads that Buster Douglas has landed almost at will throughout the fight.” As Tyson sat in his corner after the fifth round, co-trainer Aaron Snowell treated the swelling left eye with what appeared to be a latex glove filled with ice water. getting his punches off first. As Douglas doubled his jab and continued to fire right hands in the eighth, the flow of the fight suddenly changed. With just five seconds remaining in the round, Tyson pivoted to gain leverage and launched a vicious right uppercut. The punch landed flush on Douglas’ chin and he crashed to the canvas. Lampley screamed, “And there’s a right hand uppercut and down goes Douglas!” As Douglas sat up at the count of two, he pounded his left glove to the canvas in disgust. As Meyran continued the count, Douglas was up at the count of nine. As Tyson was prepared to charge at Douglas the bell rang to end the eighth. Tyson immediately tested Douglas at the beginning of the ninth round, going after him with a barrage of punches and again hurting him. As both men looked weary after trading back and forth, Douglas unloaded a scorching combination with just over a minute remaining in the round. The series of rights and lefts sent Tyson reeling into his own corner. With his back against the ropes, he covered up as Douglas pounded away. Lampley cried, “Tyson is hurt! Tyson is wobbling! Tyson needs the ropes for support! Douglas wailing away!” Snowell could be seen in the background standing high up on the ring steps as he shouted at Tyson, “Hold him! Hold him!” As the bell rang to end the ninth, Merchant described the scene, “Mike Tyson is hurt, his eye is closing, and he is behind in this fight.” As the tenth round began, Tyson unloaded a straight right hand. Douglas took it and then bulled Tyson into the ropes. With just over a minute elapsed in the round, Douglas flicked two left jabs and then unloaded a fierce right uppercut. The thud reverberated through the Tokyo Dome as Tyson’s head snapped back and rolled from left to right. As Tyson began to fall backward, Douglas stepped forward and finished Tyson with a devastating four punch combination that put him flat on his back. 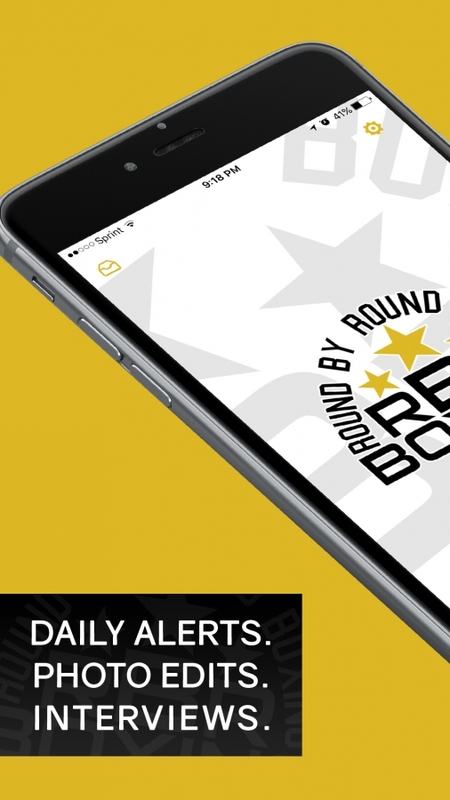 As Tyson crashed to the canvas his mouthpiece flew from his mouth and lay motionless on the mat. 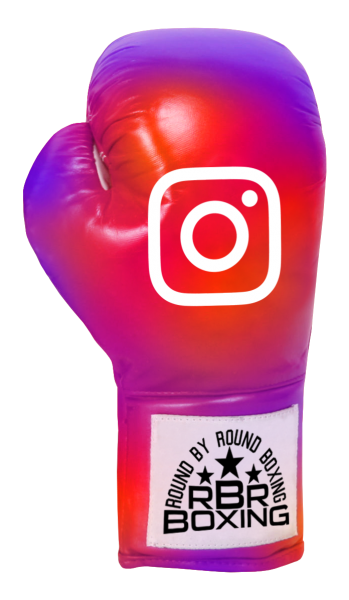 As Tyson rolled to his side and then onto his knees, he grabbed his mouthpiece and shoved it in his mouth backwards as he tried to climb to his feet. As he rose at the count of nine, he fell limply into the arms of Meyran who hugged him tightly. As Leonard and Merchant shrieked that the bout was over, Lampley screamed over them, “Mike Tyson has been knocked out!” Leonard added, “Unbelievable!” At 1:22 of the 10th round, James “Buster” Douglas was the new Heavyweight champion of the world. As HBO went off the air, a lot was happening behind the scenes. The scorecards were the first red flag that something was awry. One judge had Douglas ahead 88-82. A second judge, unbelievably, had Tyson ahead 87-86. The third judge had the fight even at 86-86. In what was unprecedented at the time, HBO was back on the air one week later. 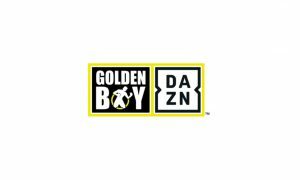 With Larry Merchant hosting, and with both Tyson and Douglas in the studio, a replay of the fight was shown and the controversy that followed it was candidly discussed and investigated. 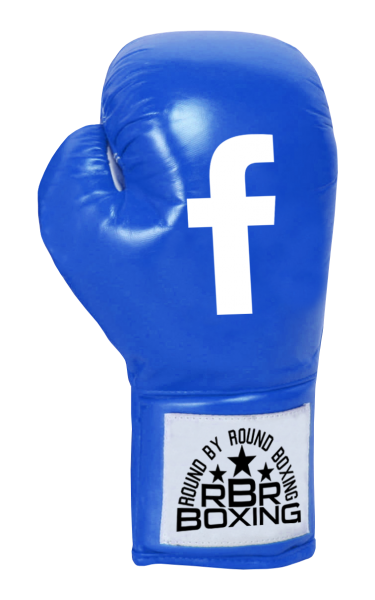 Much of the conversation centered on the suggested “long count” and protest launched by Tyson promoter Don King. 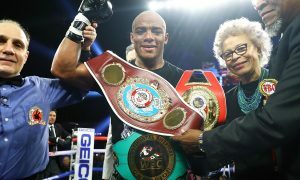 King concluded that Meyran erred and administered a long count in the eighth round after Tyson had knocked down Douglas. His inference was that the fight should have been over then and there and that Tyson be declared the winner. 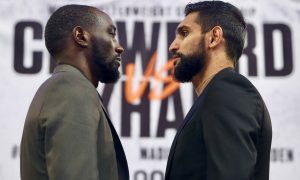 HBO then exposed the myth by replaying the Douglas knockdown and pointing out that he was sitting upright at the count of two as he pounded his first on the canvas before rising. 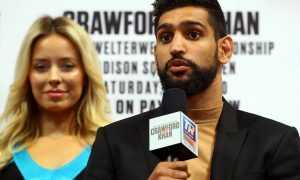 Ultimately, the rules of all three governing bodies’ dictate that the referee is the ultimate authority in the ring and his count is the one that matters. Douglas picked up Meyran’s count and rose at nine. A camera revealed that the timekeeper, seated at ringside, began the count as Douglas was in the process of hitting the canvas. In essence, it was proposed that the timekeeper may have started the count early. A timer was then placed on both knockdowns. The clock reached the same number, 14, at the same time of the count that Meyran administered to both Douglas in the eighth and then Tyson in the tenth. King’s brazen attempt to overturn Tyson’s loss did not sit well with the general public. The outcry quickly reached levels that forced King to abandon his efforts. After returning to the United States, a press conference was held by King in which victory was conceded to Douglas. Tyson showed the heart of a warrior as he refused to give up. His corner certainly didn’t do him any favors during the fight. Tyson, however, refused to blame his team and ultimately took full responsibility for the loss. Douglas, on the heels of his mother’s passing, showed no fear as he galvanized all of his strength to fight the fight of his life. He was magnificent as he did what no one believed that he, or anyone else for that matter, could do in defeating Tyson. Many still rank this as the biggest upset in sports history.